Let us preface this post by declaring that the new website Cityfile is incredible. We&apos;ve spent the last two days on this site reading all the profiles of the "notable and influential" New Yorkers. 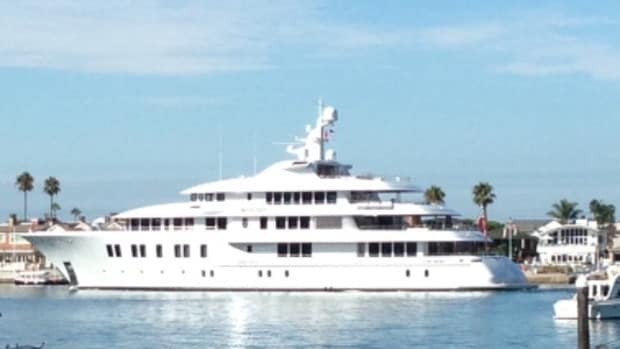 Our boys at Cityfile* have just posted pictures and details of Carl Icahn&apos;s yacht , the 180-foot Starfire, which can be yours for a week for the low price of $196,000 (during "low season"). From the pictures, it looks like Carl can throw his share of Minnesota Vikings style parties all while blogging thanks to his high-speed WiFi. He&apos;s got a nice big screen TV, a chess board for the intellectual inclined, and of course, an on-board chef to round out the 12 person crew. Anybody reading got the moolah to take a ride on his yacht? * Full disclosure: We know these guys and think they are awesome. Michael Cohen was (allegedly) one creative briber.